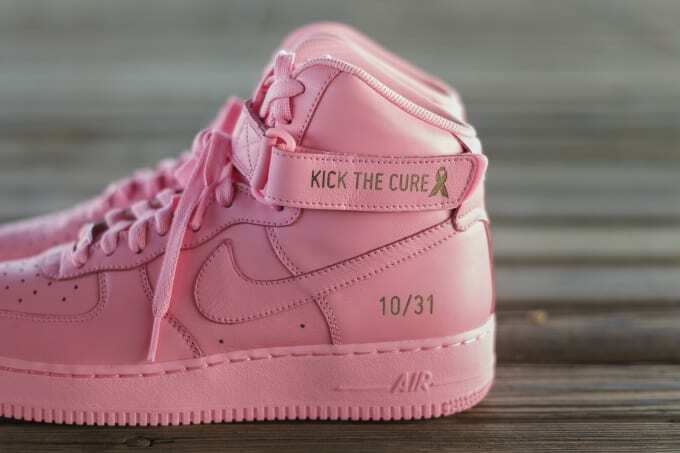 We&apos;re already nearing the end of October and surprisingly, we haven&apos;t seen very many Breast Cancer Awareness themed sneakers this year. 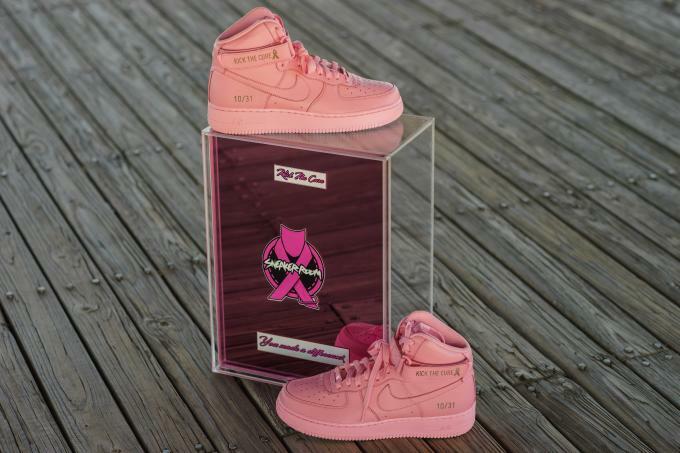 Although there aren&apos;t a lot of official releases, a sneaker store in New Jersey took it upon themselves to create a dope pair of customs for the occasion. 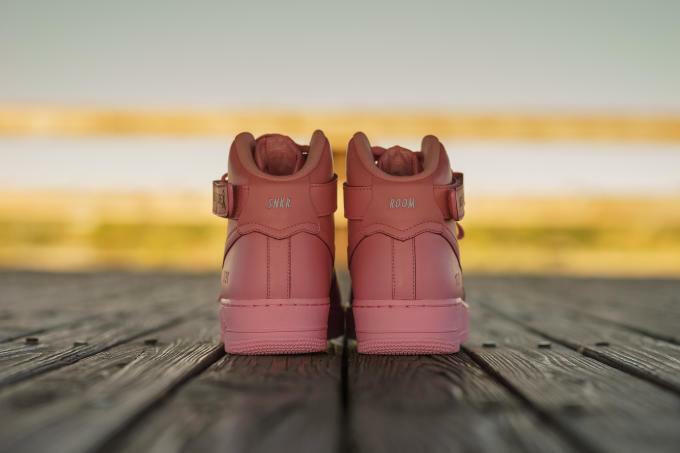 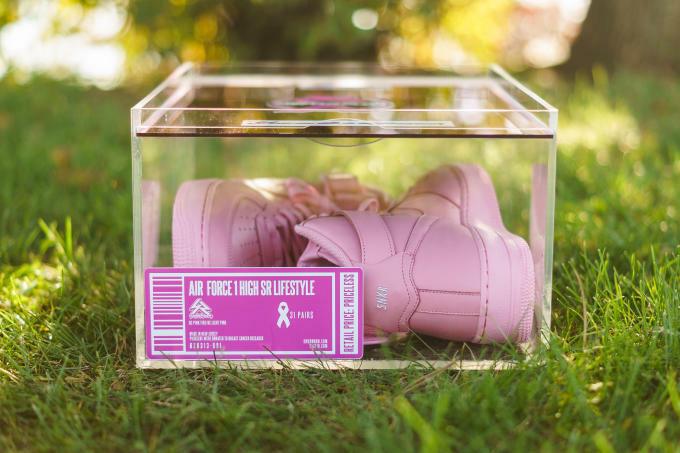 Using the Nike Air Force 1 High as its base, Sneaker Room created these "Kick the Cure" customs that sport an all-pink-everything makeover and a ton of dope laser detailing. 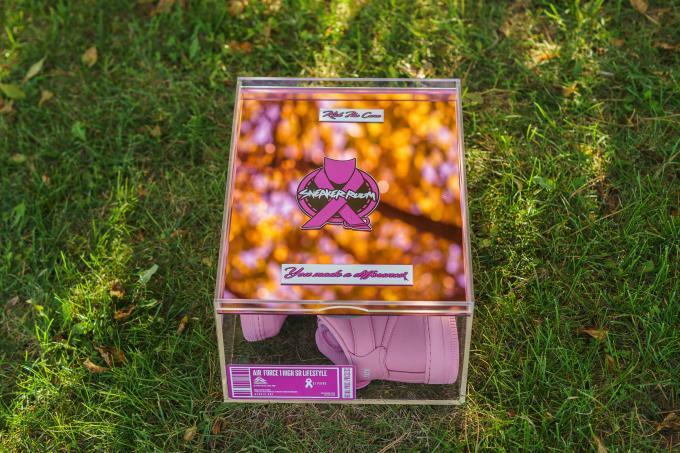 They&apos;re limited to a run of just 31 pairs with sizes ranging from 6.5 to 16 and include custom packaging. 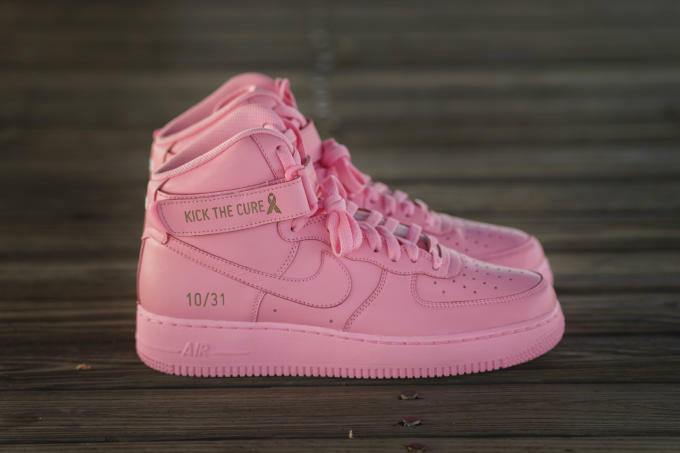 These "Kick the Cure" customs will be sold via auction with 100 percent of the proceeds going to breast cancer research and treatment. 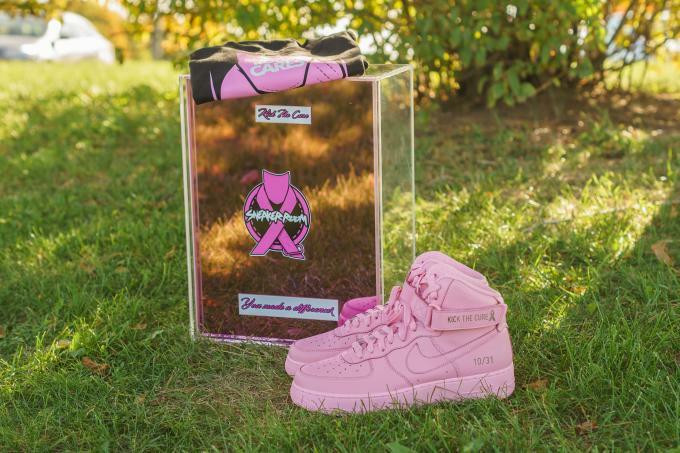 To place a bid, you&apos;ll need to e-mail bc.sneakerroom@gmail.com with your size and bid amount in the subject field along with your full name and phone number in the body. 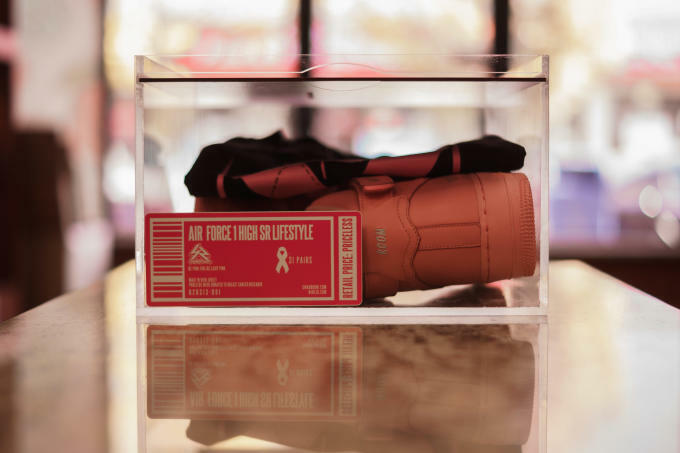 The auctions begin at $500 and will close on October 31 at 8 p.m. EST, so be sure to get yours in now if you&apos;re feeling these and want to support a great cause at the same time. 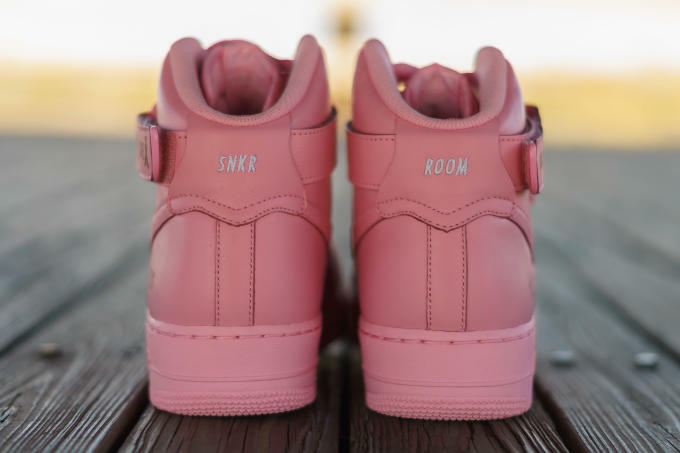 For more information, visit the @sneakerroom Instagram page and Snkrroom.com.